Well if you’ve read the previous “Building a Dream Big Band” posts, you’ve noticed that all of the horns are in place. I’m pretty proud of my band so far, although I did catch some flack via email and Facebook for placing Michael Brecker in the “1” chair above John Coltrane in the sax section. The good news is that I completely encourage your feedback to my dream big band. No doubt everyone will fill their sections based on their own tastes, and that is what I am simply doing with mine. I encourage you to post your feedback on the blog, so that others can see and share their opinion not only on what I think, but to what you think as well. There are no wrong answers. We all enjoy different musicians for different reasons, and remember, this is not a “best of” or “top 10” list. It is simply based off what musicians I would dream to see together. And now, its time to introduce you to my rhythm section. How does someone have a career that lasted, at best, five years, manage to leave such a permanent mark on jazz guitarists? Simple – your name is Charlie Christian. Sadly, Christian died at the age of 25 from tuberculosis, but still remains the fundamental influence on all jazz guitarists. Christian spend time with Benny Goodman, followed by a run at the cradle of bebop, Minton’s Playhouse, where he would perform with the likes of Dizzy Gillespie and Thelonious Monk. Christian is rarely any lower that number three on anyones “top guitarist” list. 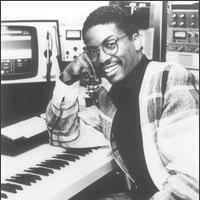 There were about 10 million pianists to choose from, but I just had to choose Herbie. He has done virtually everything, and continues to become more popular. While there are dozens of pianists who have spent way more time in big bands, I find Herbie more diverse, and blessed with the ability to entertain crowds of all varieties. over through four decades. So what if my dream big band features an electric bass player? There is absolutely nothing wrong with that, especially when he happens to be the best electric bass player ever. 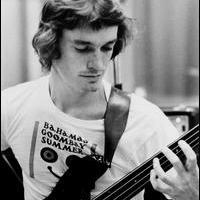 Emotionally Jaco was his own worst enemy, but again, this band just simply cannot be without his bass. 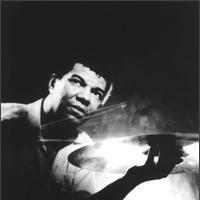 Like other musicians in this band, I chose DeJohnette because of his ability to excel at playing all forms of music, not just one style. He plays with such fluidity and adds so much to the sound of a group that it would be insulting to suggest that Jack is just there to “keep time”. Again, the jazz purists make come after me for not putting a more “famous” drummer like Blakey or Roach or Buddy Rich in this spot, but Jack’s versatility was the deciding factor for me. So with 18 instrumental members of the band in, next time I select a male a female vocalist to be featured. Expect a couple of surprises. And, as always, I encourage your thoughts! Now its time to turn to the saxophones. You might find a few surprises in this section, and probably some horn players you would expect to see. I encourage your thoughts on how you might see your dream sax section differently, and let me know what you think of the video on each musician! Is an explanation necessary? There has yet to be an alto player in my mind that has even come close to touching Bird on any level. 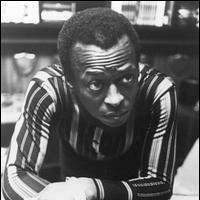 His solos and sound would be and are entertaining in any era. His death might be the greatest tragedy in jazz. I was this close to picking Coleman Hawkins for this chair, but Cannonball just edged him out. Besides being incredibly diverse, Cannonball’s specialty in this band is bringing what he might best be known for: a happy sound. How dare I seat Brecker above Coltrane, Wayne Shorter, and Branford Marsalis? Because this is my band, and because I cannot remember a time where I heard Brecker solo and didn’t have my mind completely blown. You might find that James Brown, James Taylor, John Lennon, Aerosmith, Carly Simon, Bruce Springsteen, Paul Simon, Elton John and about 200 other musicians from all genres who contracted Brecker will agree with me. 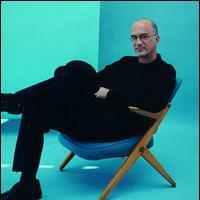 Brecker has Coltrane to thank for so much. 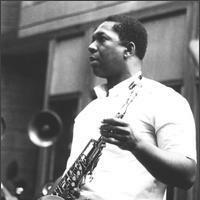 Most importantly, his imagination, and his ability to make improvisation exciting. The two tenors in this band provide an ultimate wall of sound. Maybe the least famous musician of the group, but that’s the life of a baritone sax player. Cecil was always entertaining, and maybe the best baritone player of the late 40’s to the early 60’s. Again, let me know what you think of the band so far. All of the horns are in place, with the rhythm section, singers, and bandleader to go. The rhythm section is next! I started working on the next section, the trombones. Unfortunately, the trombone section in a big band does not always get the proper attention it deserves. That being said, I wanted to make sure it received the most proper of selections, so I decided that instead of me picking this section, I would employ an expert. Our expert in this case is a man I shared my radio program, Jazz on the Grooveyard with for a couple of years, and trombone enthusiast, Troy Oppie. There are few I would trust more than picking a trombone section for my dream big band than Troy. So without further delay, take it away, Troy “Ironman” Oppie! Obviously, this is a huge topic and there’s plenty of great players that would be left out. But, here’s my list of big band players, with the only requirement being that they be associated with a big band for a significant portion of their careers. For that reason, and it pains me to admit it, J.J. Johnson didn’t make my list. 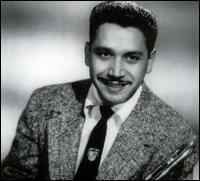 Yes, he played in big bands… but his career was built on being the best small group trombone player on the planet. Bob Burgess was the lead with Stan Kenton’s band for just a short time, as long as late ’51 to 1953 or as short as 1952 depending on whom you ask. Regardless, Burgess ran what I think is one of the sharpest trombone sections in jazz history. 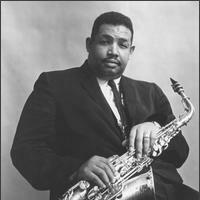 He wasn’t really a soloist, but the man could turn a phrase and lead a melody like few other players I’ve ever heard. Okay, don’t worry… this list won’t be the entire Kenton trombone section. But Rosilino is the obvious choice for this chair in any band. Rosilino’s trombone playing was always full of fire; he was a technical wizard with the slide which helped make jaws drop around the country. I have heard few trombone players today combine the technical prowess, style and feel that Rosilino possessed. Al Grey is of course best-known for his work with a plunger-mute. 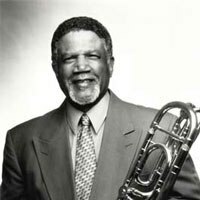 He redefined what a trombone solo could be, and during his work with Count Basie, Lionel Hampton and other big bands until his death recently, Grey was always a featured soloist. His passion for the instrument and style – I always thought he was one of the best at truly ‘singing’ through the horn – make him a great fit in any big band. As bass trombone was oft-overlooked (unless out-of-sync with the rest of the band) there aren’t many big-name bass trombone players. 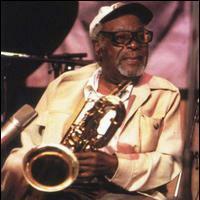 In fact, the only one I could think of without resorting to my jazz books, was Bill Hughes. He spent much of his career with the Basie band, originally playing tenor trombone alongside Benny Powell and Henry Coker in the 50’s. That trio was largely regarded as the best ‘bone section in jazz, and it was easy to hear why when listening to the band swing on the original recordings of Shiny Stockings, April in Paris and the like. Hughes currently is the leader of the Basie orchestra. Thanks for asking me to contribute to the blog; I really miss my days at KPLU as well as the chance to play jazz on the radio. That’s not to say I’m not having fun now, though. I’m currently in Boise, Idaho, working as a sports anchor and reporter for CBS 2 KBCI-TV. I’m now in my second market, having left Missoula, Montana in mid-September. I’m loving Boise so far, and excited for the chance to follow BSU football to what everyone here hopes will be a major bowl game! Check out part one of “Building a Dream Big Band” featuring the trumpet section. 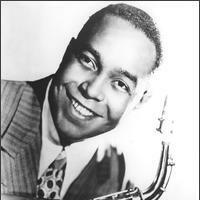 Over the next couple of weeks, I will be piecing together, section by section, my ideal jazz big band. This band will be comprised simply of my favorites, and there are no requirements as to who may be a part of this band, including whether or not the musician is alive or dead. I encourage you to offer your opinion on how your dream big band might differ. The band will consist of 21 members: five trumpets, five saxes, four trombones, piano, bass, drums, guitar, two singers, and a bandleader. Today, I submit to you the trumpet section. Enjoy! A lead trumpet player has to be able to hit any high note with the same quality of tone as if he or she was playing middle range notes. 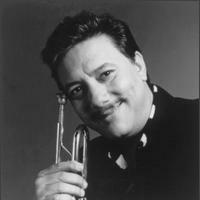 Jazz virtuoso Arturo Sandoval was probably my easiest pick for this band. Arturo is easily the most versatile trumpet player in all aspects. Amazing tone, an unmatchable range, fast fingers, and technically perfect. 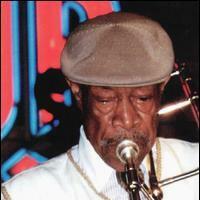 A dream lead trumpet player for any band. Second chair in a trumpet section is typically the featured soloist, so my second chair has to be extremely creative and entertaining. To me Wynton is as creative and interesting as it gets when playing a trumpet solo. He has been a featured soloist in nearly every band he has played in, which is why he sits in chair two as the sections featured soloist. 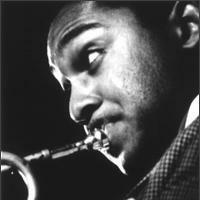 I have often credited Freddie Hubbard as my all-time favorite trumpet player. In his prime you could hear him solo for ten minutes and never hear him repeat a single lick. Freddie is the guy that could play a fast solo or a beautiful ballad…no matter the solo, you would never get bored. Traditionalists may hold it against me for seating Miles at fourth chair in this section, if for no other reason than his legend, but this is my band and this is where I seat him. Miles gives this section personality and genius. He might not play as high or as fast as the others, but his personality, sound and perspectives on improvisation truly perfect this trumpet section. I actually like this band with a four-piece trumpet section, with Thad stepping out on the stage to be featured on ballads on the flugelhorn. 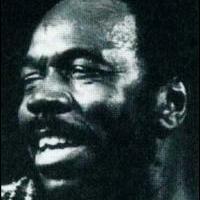 I still don’t know if there is a horn player who can play a ballad as sweetly as Thad Jones. So far, a great start to my dream band. Let me know what you think! And I hope you enjoyed the great recordings! Next time, the trombone section. 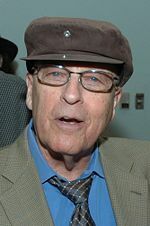 The jazz world lost one of its most famous composers and arrangers last Saturday, October 11th, as Neal Hefti passed away in his home in Los Angeles at the age of 85. While Hefti’s biggest “hit” might have been the composition of the theme song for the television show Batman, for which he won a Grammy award in 1966, Hefti built his reputation with wonderful compositions and arrangements for big bands. In addition to being a fine trumpet player, Hefti built his reputation arranging and composing for Woody Herman. Hefti’s most memorable big band compositions were recorded by Count Basie’s band between 1950 and 1962, and included works like Lil’ Darlin’, Cute, Whirly-Bird, and Little Pony. Neal Hefti spent a month composing the Batman theme song, which became an overnight success, landing in the Top 40 and winning him a Grammy for Best Instrumental Theme. He also composed music for The Odd Couple, Barefoot in the Park, and Harlow. Click here to hear Count Basie’s band play Neal Hefti’s Whirly-Bird. Click here to hear Count Basie’s band play Neal Hefti’s Lil’ Darlin’. Click here to hear the Batman theme song written by Neal Hefti. Eva Cassidy finds herself in a league of her own when it comes to heart-tugging, tear-jerking stories. Upon her passing from cancer in 1996, she was not a Grammy winner or a legend. In fact, you were fortunate if you had ever heard of her, unless you lived in the Washington D.C. area. It had nothing to do with a lack of talent, because the talent was coming out of her ears, and most everyone who heard her sing agreed on this. Unfortunately, recording companies struggled to figure out how to market her, as her repertoire consisted of everything from jazz to blues to rock to gospel to Irish folk music; a repertoire so broad that they simply chose not to market her at all. Apparently being incredibly diverse had its downside – she couldn’t be defined, so the powers that be decided to not try and define her at all. Grammy awards and record albums sales can be difficult to come by when no one has the guts to distribute your work. The fortunate side to this sad story is that the right guy got his hands on one of her recordings and helped get her music on the airwaves, even if it was after her death. A British radio DJ came across her Live at Blues Alley release and began broadcasting Eva’s version of Somewhere over the Rainbow in the early 2000’s. That exposure led to topping the British album charts, and album sales topping one million. Subsequent albums and exposure led Eva Cassidy’s popularity west, where by 2006 she became the number five selling artist on Amazon.com. Her numbers on ITunes are comparable now, if not better. Most of her albums have now earned gold or platinum status posthumously. It appears after all, that diversity, matched with an epic voice (a voice I would be surprised if anyone disliked), doesn’t need clever marketing and a huge recording contract. Her following is huge and no longer can be described as a cult following. And while her story most certainly tugs at the heart, her huge sales since her death can not only be credited to an unfortunate story that chokes us up, but to an amazing talent that appeals to a large and diverse audience of listeners. And while it might be a bold statement for me to make, it is an honest one, as Eva Cassidy’s recording of Who Knows Where the Time Goes remains my all time favorite recording by a female vocalist. 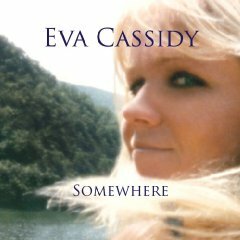 Eva Cassidy’s latest album Somewhere, has now been released by Blix Street Records, a Gig Harbor based recording company. For those who know and love Eva’s music, this album will treat you quite nicely. This is far from an album that features leftover studio and live recordings that were thrown together just to create another release. It features a nice collection of down tempo tunes throughout, showing off Cassidy’s fantastic ability to remind listeners that a well sung ballad really should draw and display emotion. 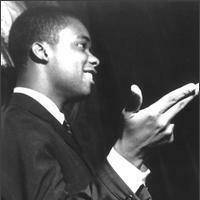 Showcased in the middle of the album are a series of bluesy songs including Chain of Fools, Walkin’ After Midnight, and Ain’t Doin’ Too Bad that remind us that to be versatile in music means not only the ability to sing different styles of music, but the ability to sing different styles of music well. The album closes as if her fans were asked what they would like to hear Eva sing to close out an album. We hear a wonderful version of Gershwin’s Summertime, and finish with the title track, a tune co-written by Eva and Chris Biondo, Eva’s former boyfriend. It is rare that you can listen to an Eva Cassidy recording and at the very least not say “wow”. The new album Somewhere offers no exception to that rule. Below is a video of Eva Cassidy singing “Somewhere Over the Rainbow” at Blues Alley, as well as her recording of “Chain of Fools” from her new album “Somewhere”, and my all-time favorite Eva recording, “Who Knows Where the Time Goes”.